Reversible Roasting / Rib Rack | Patio and Hearth Co. 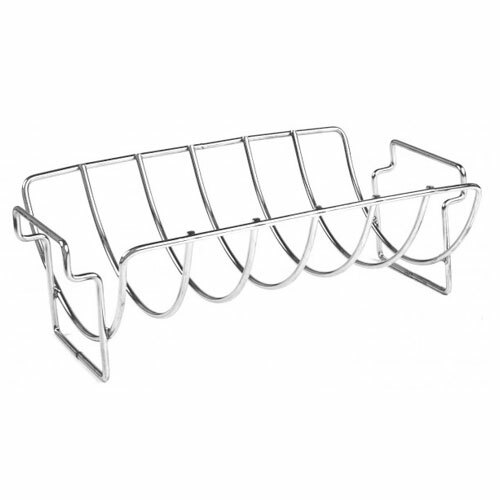 This reversible rib and roasting rack combines the benefits and functions of two racks into one. One side holds larger cuts of meat like roasts or small turkeys. Flip the rack over and it can hold six full slabs of ribs upright, saving space on the grill for other food. The rack also allows air to circulate around food for more even cooking and smokier flavor. Inquire about Reversible Roasting / Rib Rack using the form below.